If one was to plot the course of Volkswagen’s design heritage in purely aesthetic terms (if indeed such a thing were possible), it would be represented on a somewhat undulating graph, and it could be argued with some conviction that overall, the troughs have tended to outweigh the peaks. But automotive design is a cyclical discipline and all styling studios must move with, or at least reflect the times. By the turn of the millennium, Volkswagen was well into a creative purple patch. Having masterfully overseen a generation of VW car designs in the wake of longstanding Volkswagen design director Herbert Schafer’s retirement in 1993, former Audi Design chief, Hartmut Warkuss’ ethos of studied ulm-influenced restraint, while paying dividends in sales and perception terms, was falling out of favour along the banks of the Mittellandkanal. Believed to have been spurred by the accession of former BMW CEO, Bernd Pischetrieder to head Volkswagen AG, following Ferdinand Piëch’s elevation to full dictatorial control, a palpable shift in design ethos took place, ushering in an ornate, more expressive aesthetic, first witnessed in the 2004 Golf V and its ensuing siblings. Central to this was the development of the Wappengrill. So-called due to its shield-like form, the new, more assertive VW family nose would debut two years later with the Eos cabriolet and the Passat B6, both cars developed under the direct supervision of team leader for VW exteriors, Robert Lešnik. The Slovenian, who joined VW in 1998 as a graduate from Pforzheim, would subsequently find his true calling as Gorden Wagener’s deputy at Sindelfingen and co-architect of Sensual Purity®. Warkuss, a somewhat unlikely cheerleader for this more ornate design vocabulary, given his back-catalogue, retired in late 2002 and fresh from his third stint at Mercedes’ design studios, Murat Günak arrived at Wolfsburg on April 1st 2003 with a remit to up the design emotion. Having enjoyed a somewhat peripatetic career which encompassed stints at Ford’s Merkenich and Peugeot’s Sochaux studios, Günak was a favoured disciple of Peter Pfeiffer, with responsibility for Mercedes-Benz cars and light commercials, before his arrival in Lower Saxony. Prior to his departure from Sindelfingen, Günak supervised the design of a novel four-door coupé-saloon. Styled by American, Michael Fink, the car, which would go on to become the W219 CLS would create something of a stir upon its announcement in 2004. With the B6-generation Passat now in hand (a design incidentally attributed to Lešnik), it appears likely Günak brought some Sindelfingen fairy-dust to proceedings, inspired by Michael Fink’s three-pointed pathfinder. Conceived in a thematically similar manner to that of the more penitential B6 Passat saloon, the new model was however schemed as a more exclusive, personal luxury coupé, intended primarily for the US market, and while the so-called Comfort Coupé wouldn’t occupy the same price point as the Mercedes CLS, it was nevertheless aimed at a similar clientele. To an extent the CC bears comparison with the 1958 Rover P5, which was offered as a rather patrician saloon and later in coupé form, sporting a more rakish canopy and image. The principal difference here being that while the Rovers shared panelwork below canopy level, neither of the Volkswagens shared a single pressing. Stylistic responsibilities were attributed to Oliver Stefani, who had previously been involved with the Beetle Cabriolet, Dune concept and Polo designs, created a rakish, sinuous shape, with an arched, falling roofline, narrow glasshouse, and a dramatic Mercedes-esque feature line bisecting the bodyside. Stefani told journalists at the car’s launch that his ambition had been to create an emotional, elegant-looking, dynamic car, longer, wider and lower than its saloon derivative. The Passat CC was introduced at the 2008 NAIAS in Detroit, two years after its saloon forebear. Sharing floorpans, engines, suspensions, drivetrains and other hardware with its mainstream sibling, both Passat models were built upon an extended Golf-based platform, rather than one shared with Audi, as was more common practice. This entailed transversely mounted engines of 1.8 and 2.0 litre (petrol) fours, (a 1.4 turbo came later) while a 3.6 litre version of VW’s compact VR6 unit topped the range. 2.0 litre versions of VW’s infamous TDI diesel were also offered in Europe. Suspension employed struts and lower wishbones up front, while a multi-link unit was mounted aft. The interior, while based on the architecture of the Passat saloon, was enhanced with all touchpoints enjoying bespoke finishes, with a plusher, more upmarket feel. Unlike the standard Passat, the CC was launched as a strict four-seater, befitting its more indulgent mien. While VW tried to talk up the CC’s dynamic capabilities, it was in effect a very slightly sharper version of the saloon, far better suited to the role of suave cruiser than B-road hustler. Well received by the UK press, with Autocar describing it as “arguably the most desirable car in the VW range“, the Passat in a party frock was met with ambivalence elsewhere, particularly in the US, where it was deemed too expensive for what it purported to be. While Volkswagen hoped to build in the region of 300,000 over the model’s lifespan, sales failed to match expectations, with US deliveries peaking in 2011 at 29,502. European sales also proved a disappointment, customers seemingly unwilling to pay a premium for what was perhaps unfairly deemed a somewhat impractical offering with ideas above its station. It did however carve itself a minor niche in China, arguably the sole rationale for its current overwrought successor. Meanwhile at Wolfsburg, the endless boardroom machinations saw Pischetrieder ousted in 2006, following a falling out with the Dark Lord himself, replaced by Martin Winterkorn. The new broom also entailed a change of ethos in the design studios with Günak out, replaced by Audi design chief, Walter de Silva and a return of a more tailored approach to line and surface. This saw the CC (which had lost the Passat moniker some time before) receive a creditable facelift, which would see it out before production at Emden ceased in 2016. Was the CC merely a Passat for poseurs, or the thinking person’s CLS? Debatable, but it does remain perhaps the sole exponent of the short-lived and largely discredited Günak/Schreyer era which could be described as an unabashed aesthetic success. However, taken in pure-product terms, it didn’t make a lot of sense at the time and still doesn’t. Nevertheless, the handsome CC enlivened a rather dull automotive landscape and remains a pleasing sight upon our roads. Is that enough of an epitaph? Please note that the chrome bibbed front wasn’t called “Wappengrill” (coat of arms), but “Plakettengrill” (plaque). This stupid design in combination with Flash Gordon-inspired multi-LED rear lights made the cars look quite cheesy and the big slip in product quality of the Golf V against IV did the rest. They didn’t bring out the Golf 5.2 (VI) after such a short time for nothing. When you have a car with more than eighty percent of sales being the estate version, take the saloon version and flatten it then put on some cheap aftermarket-looking details and wonder why nobody wants to buy it then you should seriously ask whether your market analysts are the right people for the job. I’m the last person to defend the Plakettengrill/Günak-Schreyer cars, but I think you’re being a bit harsh, Dave. 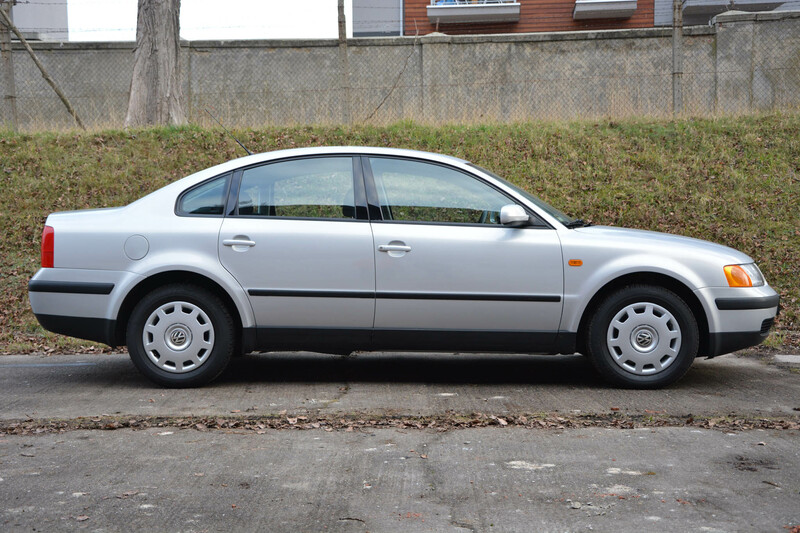 While no masterpiece, the (Passat) CC at least did without the full-chrome ‘Plakette’ and was generally more restrained than other VW’s from that period (Golf V and Golf Plus excepted), as well as infinitely sleeker than the pig-wearing-chrome-lipstick that was the utterly misbegotten Passat B6. The CC also happened to be more discreet than the CLS that inspired it. On top of that, the de’ Silva facelift did turn it into a genuinely decent piece of design (mind you, they did know how to perform a facelift in those days…). Oliver Stefani, the CC’s exterior designer, is Škoda’s chief designer these days, by the way. I never understood how anybody in their right mind could have signed off for production these concoctions with chrome on a painted bumper, under eye bags and rear lights looking as if they were lifted directly from an everything-for-one-Euro bazaar where they sat on a shelf next to pink battery operated plastic fountains. The Golf V with its dumpy rear was only marginally better than Passat B6 with acres of metal atop the rear wheels. As I generally don’t get the idea of a four door coupé I can’t see much positive in the CC except that it is less terminally ugly than Benz’ flying banana CLS, a car that easily manages to be as ugly as a Bangle BMW which is quite an achievement. What was it that made German managers sign off Bangle BMWs, Günak VWs? Were they all victims of to toxic Diesel emissions? I knew I’d seen that rad shell before. Ah yes, it’s a Saab. I think we are all agreed that large chrome grilles really have no place on a Volkswagen. The original design icons were the rear engined Beetle and Combi vans, necessitating no grille at all, although the simple black grille framing round headlights (as per original Golf) then became a well established motif. The broad, chromed cheese graters across the front of the SUVs are hideous (although they do project a certain sense of quality I suppose). The Up! is closest to what a VW should be in my view – largely unadorned. The forthcoming electric vehicles look like they will follow this philosophy. The Golf VI returned to the simple ‘slats between the headlights’ motif after the fifth generation’s overwrought take. The VII took that even further, which probably means VIII will sport a less chrome-laden take on the Arteon’s snout. The Günak/Schreyer era was certainly a low point in VW design, but perhaps the prime responsibility for this aberration lies further up the company hierarchy: it coincided with Ferdinand Piëch’s grandiose ambitions to turn VW into a direct competitor for Mercedes-Benz, hence the misconceived Phaeton and the abandonment of the wonderfully rational design theme, exemplified by the Golf Mk4 and B5 generation Passat, in favour of a more “premium” (i.e. ornamented) look. The B5 Passat was a particular favourite of mine in its original guise, before it was spoilt by a facelift that added rather chintzy head and tail lights, a portent of what was to come. The B6 generation Passat was a real disappointment for me. It abandoned the traditional Passat DLO with a third light in the C/D pillar in favour of a somewhat awkward looking rear door glass with a “Hoffmeister Kink” of sorts. This gave the car an unfortunate high-tailed (and fat-a***d) look, which was more Toyota than VW. The competent facelift calmed it down somewhat, but it never lost its slightly awkward stance. IMHO, this design is perfect in that there is nothing you could add or take away to improve it. The B5, in pre-tinsel guise, was sublime. As a statement of intent, Warkuß couldn’t have delivered a more impressive first production car. Very much. It is something of a quiet masterpiece and apparently timeless. The paradox of the B5 is that it is styled in the way the predecessor was not. The predecessor was a straightforward, no-nonsense vehicle designed around an excellent package, it was astonishingly roomy with a huge boot. This one may have been roomy and useful but they went to great lengths to polish the appearance, especially the sublte waisting of the body side and utter control of all the minor transitions. I always dreamt of owning a Rover P5B coupé (or a P4 saloon, for the record). Should I buy a used CC as a nod to it? Am i wrong to like the pre-facelift car and hate the facelift one? To be fair, it is not the most difficult task for a designer to vreate a good looking coupe on nearly 4,8 m length. 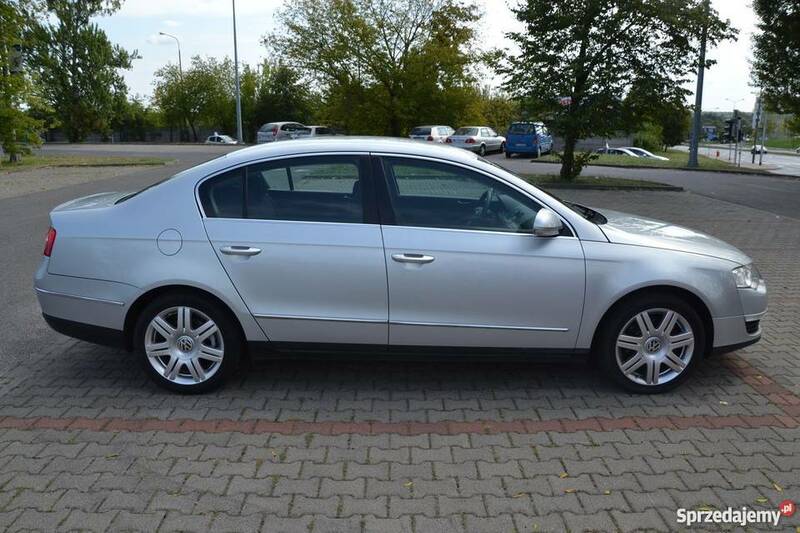 But the wheelbase of the Passat CC is too small to become a really good looking car. That was my first thought as i saw the Passat CC in metal. It is the same problem as the Peugeot 608 has. You could not build an elegant car with too less wheelbase. The key problem for me with all these 4 door “coupes” is the B pillar. A large part of the beauty of a coupe should be a long profile accentuated by one single long door. Also the C pillar has to accommodate a door which makes even the sleekest of these look a little awkward. In my opinion it is a cheat and they always look like a cheat. I once helped a friend choose his next company car and he ended up choosing the (pre facelift) Passat CC. I drove it several times and found it to be a very pleasant car indeed, with the 1.8 litre TSI engine as high-point. Whilst I felt the whole package to be inferior to the very best of the contemporaneous competition (i.e. the Ford Mondeo), it was preferable to a 3 series or A4. I’m also not a fan of the facelift; the angular nose and tail treatment jars with the organic styling of the sides of the car IMO. Next Next post: Is There A Way Forward Through The Frozen Glass?